Christina is our Director of Operations and her role encompasses all aspects of Club logistics, planning, finance, and communications. Christina is a business management professional and sport enthusiast with a diverse background and experience in both the private sector through her work in the pharmaceutical industry to her work with ProEdge Sports Conditioning as business manager. Christina has also volunteered in various roles and served on the Executive with TASA Minor Hockey Association. Kieran is our Technical Lead – Boys, leading all aspects of technical programming within the Club for U8 to U12 Skills Centre, U13 to U17 Performance and U12 to U21 Grassroots Boys. Under the direction of the Technical Consultant and in consultation with the Director of Operations, Kieran’s responsibilities include: player placement/movement processes, curriculum development/implementation, contributing to coach education, and managing required technical resources. Kieran played youth soccer with the Valley United, being part of the only boys team to have reached nationals from the region. He also represented Nova Scotia at the Provincial and Atlantic stages. He began his coaching career in 2014 and joined HCU in 2016 where he has coached in various capacities including the Club, Provincial and EXCEL levels. In September 2017, Kieran had the opportunity to study at West Bromwich Albion’s Professional Academy then in the English Premier League. Kieran is in his final year at Dalhousie University where he is working on two degrees, BSc (Recreation) and a BMgmt. He currently holds a B1 License. Having been around the game at every level for the past 20 years, Mike is committed to ensuring that HCU develops our technical program to the highest levels by aligning HCU Club values to the principles of Long Term Player Development, promoting age and stage appropriate programming for all players and coaches in the club. Following a playing career in England in the semi-pro ranks, Mike came to Canada in 1994 to attend Dalhousie University where he was a member of the 1995 CIS championship winning team. He graduated in 1997 with a Master’s degree in Leisure Studies and since that time has coached at club, university, provincial, and Canada Games levels, and has held positions as provincial Technical Director in Saskatchewan and Nova Scotia. 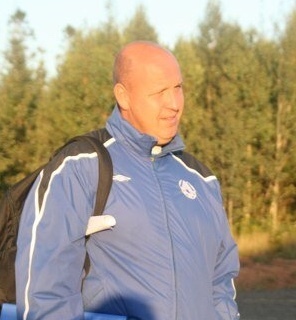 Mike currently holds a UEFA B License and is a Master Coach Developer for the Canadian Soccer Association.